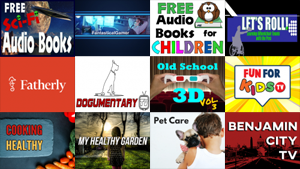 We reviewed another 20 new Roku channels this week, with content in the categories of Food, Kids & Family, Lifestyle, Movies & TV, News & Weather, Screensavers, Special Interest, Sports, and Web Video. 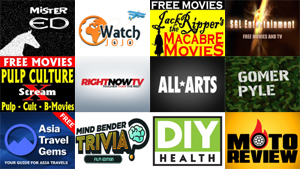 We've reviewed 20 new Roku channels so far this week, with content in the categories of Educational, Fitness, Kids & Family, Lifestyle, Movies & TV, Screensavers, Special Interest, Travel, and Web Video. Sinclair Broadcast Group launched STIRR, a free ad-supported streaming service, on Wednesday. 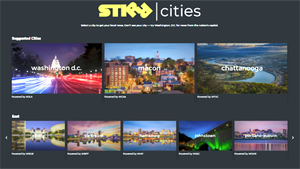 Available on Roku, Amazon Fire TV, iOS and Android devices, Apple TV, and the web, STIRR offers a curated selection of local news, sports, and entertainment from several dozen Sinclair stations across the US, along with national online streams and on-demand movies and TV shows. Sling TV is providing new users with access to the Sling TV app on Roku without the need to start a free trial. 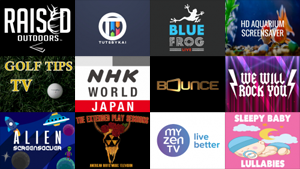 The app will let Roku users access free on-demand shows, movies, and karaoke. Roku users will also be able to subscribe to standalone channels. 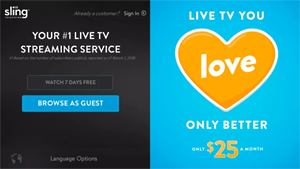 In this week's collection of recent cord-cutting news items from around the web: Amazon launches free video streaming service, Netflix announces biggest streaming price increase ever, the changing math of cord cutting, why over-the-air TV is booming, Walmart abandons plans for video streaming service, Costco may be considering a service for 'average Americans,' CBS Sports HQ to stream 30 hours of content prior to Super Bowl, and more! 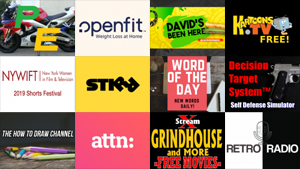 We reviewed another 20 new Roku channels this week, with content in the categories of Fitness, Games, Lifestyle, Movies & TV, Screensavers, Special Interest, Sports, Travel, and Web Video. .
We've reviewed 20 new Roku channels so far this week, with content in the categories of Educational, Kids & Family, Lifestyle, Movies & TV, Music, News & Weather, Screensavers, Special Interest, and Sports.